Study: Fat Linked to Breast Cancer and a free copy of VegNews magazine!!! 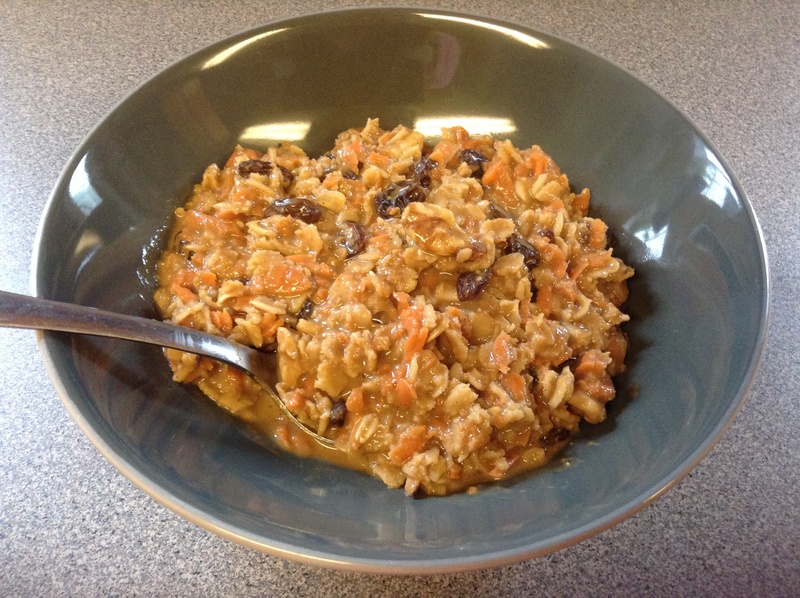 And finally… I had heard a lot about Carrot Cake Oatmeal and wanted to give it a try, I was not dissapointed!! 🙂 Very tasty and healthy too!!! The recipe I used is below. A delicious, healthy breakfast with the flavours of carrot cake. In a small saucepan bring oats, milk and cinnamon to the boil. Reduce heat to a simmer and add raisins. Once most of the liquid has absorbed into the oats, add maple syrup, vanilla, and carrot. Keep stirring until you reach your desired consistency. Pour oats into a bowl, topping with nuts and extra maple syrup, if desired. This entry was tagged breast cancer, cancer, health, healthy recipes, meat consumption, vegan, vegan breakfast. Bookmark the permalink.